The Duplo V-767 Form Burster bursts, trims, decollates, and slits continuous forms at a variable speed of up to 393.4 feet per minute. Ideal for any office environment, the electronic length settings and fixed burst rollers make the V-767 compact and quiet. 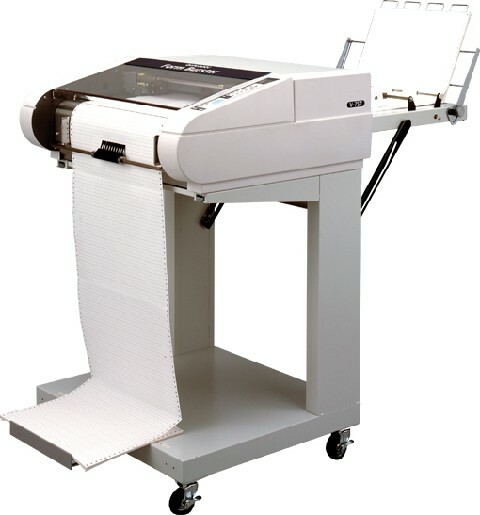 The user-friendly control panel allows a quick and easy form length set up. Built-in LED indicators on both margin slitters show where sheets will be slit. Form width memory stores up to 10 jobs. Capacity 12.35 to 41.7 lb.